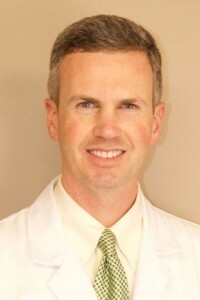 Dr. Eckman is a native of the Cincinnati area and graduated from St. Xavier High School in 1994. After graduating from the University of North Carolina at Chapel Hill with a Bachelor of Science in Chemistry, he moved back to the Cincinnati area where he received his Medical Degree from the University of Cincinnati in 2002. He then completed his internship and residency in internal medicine at Johns Hopkins Bayview Medical Center in 2005. The following year he served as a chief resident. In 2009, he completed a three-year fellowship in Allergy and Clinical Immunology at the Johns Hopkins Hospital. Dr. Eckman completed his Allergy and Immunology fellowship and was board certified in 2008. He was also board certified in Internal Medicine in 2005. In addition to caring for patients with asthma and rhinitis, he has a special interest in food allergy, hives and medical education. Dr. Eckman is married and has two children. He enjoys tennis, swimming, photography and spending time with his family and friends. He is an avid Bengals and Reds fan.